On March 23, the Trump administration will enact a 25% tariff on steel and aluminum imports, which, while exempting Canada and Mexico, will include a 10% levy on imported aluminum. According to the administration, the tariffs are a reaction to a shrinking domestic steel and aluminum manufacturing industry, including a 35% employment decline in steel in the last two decades and a 60% employment decline in aluminum since 2013 according to the U.S. Commerce Department. President Trump also provided another justification for the tariffs stating that the decline in steel and aluminum economies domestically could cause an inability to “meet demands for national defense and critical industries in a national emergency.” While these tariffs have drawn vocal commentary from those in favor and against, the net result will likely be only minimally positive for the steel and aluminum producers and minimally negative for those companies that consume steel and aluminum. The tension is clear with steel and aluminum producers optimistic on the tariff’s benefits, while industries that consume steel and aluminum are much more apprehensive. The industries that consume steel and aluminum employ more American workers than steel and aluminum producers by 80 to one and include manufacturers of auto parts and motorcycles; household appliances, including large appliances like washing machines; farm machinery; machinery used in mining, oil extraction, and construction; batteries; armored military vehicles; and hardware. Jobs in steel-intensive industries are located in nearly every state in the country, but particularly concentrated in California, Texas, the Rust Belt states, and the Southeastern states. Rising prices for steel and aluminum for the industries that consume these materials could result in a downturn in overall production, negatively impacting not only domestic consumption of those products, but also the export of those products. Retaliatory tariffs would serve to compound that impact significantly. However, the actual impact of President Trump’s tariff orders remains to be seen and a look at other tariffs on imports shows mixed effects on the U.S. economy. An analysis of the Bush steel tariffs in 2002 can shed some light on potential impacts that we can expect to experience with the new tariffs. President Bush’s order created some jobs and a slight boost in the steel production industry, but ultimately had a slightly negative overall impact on the United States economy, and the tariffs, intended to be in place until 2005 were ended abruptly in 2003. The one thing made clear by studying the 2002 tariffs is that steel and aluminum manufacturers should proceed with caution in any production efforts that result from the tariffs, and companies that rely on steel should brace for price increases that will impact production. The tariffs may create jobs and reopen plants in the near future, but if the overall economy reacts the way it did in 2002, those benefits may be short-lived and modest, while any losses may be relatively modest as well. 1. Monitor ongoing regulatory changes. It’s not just steel-consuming industries that should be concerned about the tariffs. Past experience shows that many tariffs invite retaliation in other industries. The Bush-era steel tariffs, for example, led many countries to target politically sensitive exports like Florida oranges and North Carolina textiles. China has already threatened to retaliate against agricultural goods such as soybeans (for which China is the largest U.S. export market) and EU officials have reportedly begun drafting possible measures aimed at Kentucky bourbon and Wisconsin dairy products, the home states of Senate Majority Leader Mitch McConnell and Speaker of the House Paul Ryan, respectively. Regulatory monitoring can be time intensive and manual, and companies should seek to automate their tracking of key direct legislative changes or work with internal or external government affairs contacts to track and potentially influence legislative direction. For the less obvious indirect legislative impact, companies should assign tracking within the legal or risk management departments and assess potential threats quarterly or semi-annually. Preparing potential legislative impact risk narratives and scorecards can help size both the impact of the risk and the likelihood of its occurrence. 2. Track competitors and suppliers. Tracking and anticipating competitor and supplier movements can also be a way for companies to react quickly to any opportunities presented from regulatory change. Competitive intelligence, marketing, and sales departments can monitor competitor movements including formal introductions of new offerings, pilots of potential services, site expansions, and even subtle movements such as competitor job postings and social media postings and commentary, to piece together competitor strategies. Similar approaches can be used for suppliers to anticipate potential movements and opportunities. Scanning for formal announcements on supplier expansion and contractions is critical to look for as is considering legislative movements further up the supply chain that can have trickle-down effects. Depending on the size of potential supplier pricing movements, companies may wish to build this into their risk management analysis as well and model into financial scenarios. Some companies have found that proactively managing the supplier risk through longer term purchase contracts allows them to manage down the risk and redirect focus on product redesign and alternative material options. 3. Evaluate supply chain opportunities. Many steel consumption manufacturers will be unable to pass the cost increase from the tariffs onto consumers and still be able to compete in the market. When companies face an increase in materials and cannot pass the cost on to the end-user, ensuring efficiencies in the supply chain is an area in which they can look to cut costs. Smart supply chain management that utilizes technology, particularly the Internet of Things (IoT) has already been attractive to manufacturers, but is likely to rise in a post-tariff environment. 70% of logistics companies that have already initiated IoT projects register a 30% increase in productivity and order processing efficiency. Cisco believes the Internet of Things’ impact on logistics and supply chain business can reach $ 1.9 trillion by 2025. Faced with increasing cost of steel and aluminum materials, many manufacturers can turn to “Smart” supply chain strategies to increase efficiencies and cut costs. Some companies may consider a shift in production location entirely. By shipping production overseas, companies can take advantage of cheaper raw materials prices as well as cheaper labor and less cost from regulatory compliance, like environmental and safety regulations. Domestic companies will have many reasons to shift jobs now to other continents, once again ramping up outsourcing at the cost of American jobs. However, outsourcing is not something companies should take lightly and careful business analysis should be undertaken before any decision is made. 4. Identify alternative material options. The tariff on steel and aluminum will likely provide an opening in which steel and aluminum alternatives can capture additional market share as manufacturers search for alternative materials to offset the increase in steel and aluminum prices. Campbell’s soup, who traditionally packages its soup in aluminum cans, could switch to cartons across its broader product lines, a packaging solution it already uses in its organic soup offerings. In commercial construction, companies could rely increasingly on engineered timber and metal composites in place of steel. 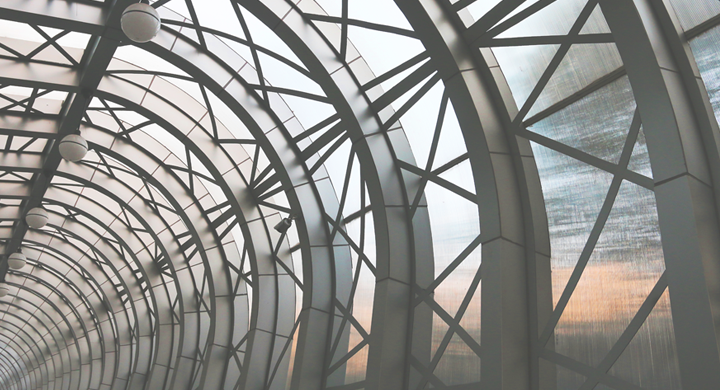 Composite materials like Fiber Reinforced Plastics (FRP) and continuous basalt fiber (CBF) are gaining popularity among commercial builders and do not face the deterioration and rust challenges associated with steel. The main barrier to steel alternatives has traditionally been cost. However, with an increase in the price of steel these alternatives may be more appealing to manufacturers. Residential construction, in which steel was just gaining popularity for its durability, will likely quickly recede with the increased costs. Overall, while the impact of the steel tariffs remains to be seen, when every dollar counts it’s as important as ever for companies to ensure they are making the right market expansion decisions, investing in the right products, maximizing the supply chain, and targeting the right customer groups.